Since my brother's gift arrived here months ago. Me and my husband were so excited to use it in connection of watching movies on the TV. Not on the usual ways we do which is on the computer. The screen is just too small and it's way not comfortable than when you are really in the living room with that big couch. Although, it takes months before this was shipped to me. But I never hesitate and risk to send this Dvd player via local post office in Philippines. Thinking it might be ruined or damage on the shipment. But I doubt it! So I listened to my instinct and as usual it never fails me. 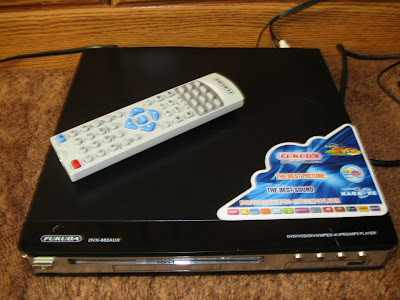 Now, we enjoyed to watched a cleared movies on the TV with the big help of this DVD player. And thanks to my siblings who gave this to me and make it possible that I'll be able to get it safely.